Madhya Pradesh professor Sanjeev Srivastava, who danced his way into the Internet's hearts back in June last year, is now back with his own music video. Affectionately nicknamed 'Dancing Uncle' by social media fans, Mr Srivastava gained viral fame when a video of him dancing at a family wedding went massively viral. 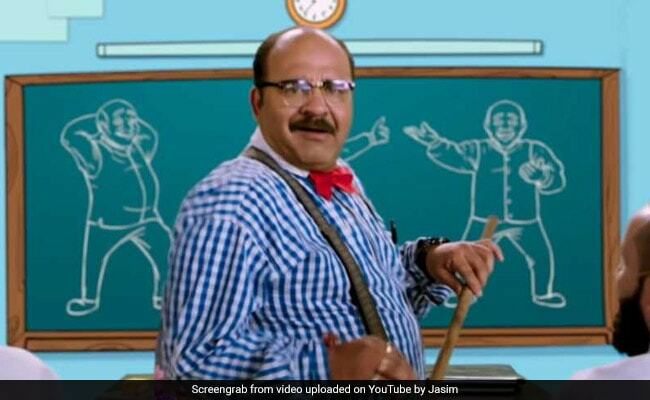 Ten months on, Dancing Uncle is back with a music video titled 'Chacha Naach', made in collaboration with producer-composer Jasim and singer Benny Dayal. 'Chacha Naach' is called the "most underrated Indian dance form invented by the Uncles all over the world" in the video description. It "expresses passion, energy and a whole lot of fun" - all of which seems accurate, looking at Dancing Uncle's killer moves in the video. Since being shared online, the Dancing Uncle music video has collected over 1.3 lakh views and hundreds of comments from fans. "Whoaaaa and uncle is backk!! Amazing track" wrote one person in the comments section. "Loved the song and video was just awesome," said another. "Full on entertainment. I like the signature steps," a third praised. What do you think of the music video? Let us know using the comments section below.